When my daughter was born, I was suddenly thrust into the world of human genetics, a place that I never thought I would find myself nor would I wish to be. 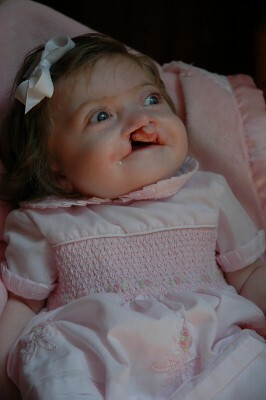 My daughter, Campbell, was born with a bilateral cleft lip and palate that had not been detected on ultrasound. There were several other indicators after she was born that she might have a genetic syndrome instead of an isolated cleft lip and palate. She was administered numerous genetic tests including a blood test that would analyze her chromosomes and hopefully find an explanation for her symptoms. 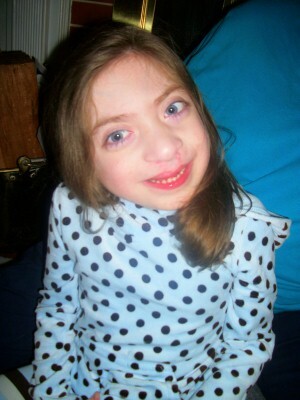 After multiple testing over six years, two geneticists and numerous other professionals, she still remains undiagnosed. I have had the opportunity over the past six years to speak with other parents who have had experience dealing with geneticists for their children. During these conversations, parents often report that the geneticists were cold and harsh during the evaluation and diagnosis process. While physicians’ bedside manners differ across the board, cold bedside manners are particularly reported with geneticists. Some of this may be due to the nature of the subject matter, that something is “faulty” with the child’s genetic makeup and may even be inherited from one or both parents. Emotions run high, especially when the future is unknown or life threatening symptoms are present. My first meeting with Campbell’s geneticist was in the hospital. She briefly introduced herself and then began going through her checklist of genetic abnormalities that Campbell had: a cleft lip and palate, large eyes with shallow orbits, an excessive amount of hair on her scalp, and small stature, to name a few. Many of these “abnormalities” were the qualities that we found that made her so beautiful. She has the most beautiful head of hair and she still receives numerous compliments on it. Her big, blue eyes are also another feature that has garnered attention and compliments. I soon learned that genetics was a harsh science and the physical “norm” that they compare certain physical features to is objective to the geneticist, whereas we view it as subjective. The saying, “Beauty is in the eye of the beholder,” rings true. However, there are certain physical characteristics that are common in certain genetic syndromes that make the physical anomaly checklist a routine test in genetics. After her initial examination of Campbell, the geneticist asked for my husband and me to bring in pictures of our families to the first office visit. She could not identify a syndrome that Campbell had despite strong indicators that she had a genetic syndrome. She was so excited when we brought our family pictures and continued to point out to her assistant all of the abnormalities our families had. I can admit now that silently I was counting all of her abnormalities, too! She then continued rattling off the anomalies and possible diagnoses. She would look over at me and say, “Oh, but you don’t want it to be that. Whatever you do, don’t look up those syndromes on the internet!” As many parents of children with complex medical needs know, the internet is a place to hopefully find answers to questions nobody else could answer, connect with people in similar situations and learn everything possible about your child’s medical condition. The suggestion to not look things up on the internet was laughably ridiculous. Overwhelmed, I finally asked her, “What do we do now?” She told me to take Campbell home and love her. At first I was so angry at her. Here was this stranger who had insulted not only my beautiful baby girl but both of our families. She pointed out all of these horrible syndromes she “could” have but gave no solution or way to fix them. Looking back, however, she was also completely correct that Campbell was the same child we had brought into the world and we would love her no matter what the situation. Genetics is a delicate subject matter and should be dealt with accordingly. Most parents, me included, want information given to us in a constructive manner that we can understand. Like other parents, my initial feeling was guilt that my husband or I could have caused our daughter’s symptoms by having faulty genes. My husband and I went over our family members multiple times to see if there was anyone in either family who might have had similar features or symptoms. In retrospect, we can both look back and logically come to the conclusion that it isn’t anyone’s fault that a person’s genetic makeup is one way or another. We all have our own unique DNA fingerprint. As I have learned, there are so many microdeletions, duplications, translocations, and other abnormalities on our chromosomes that most of us who are considered “normal” may actually have genes that technically do not meet the “normal” criteria. Genetics is an extremely complicated science, and there are numerous variations that are not only inherited, but can also be determined through environmental or chemical exposure. The human genome project was completed in 2003 after 13 years of research. It is the largest and most comprehensive study on the human genome. It allowed scientists to identify parts of DNA and chromosomal makeup, and also created a database for this information to be housed so that communication among professionals in the genetic field would be enhanced. I think it is important to examine how the geneticist approaches the parents of a child who is undergoing genetic testing and how the parents handle the situation. Postnatal genetic testing is much different than prenatal genetic testing. Once a child is born with signs of a possible genetic syndrome, it can be a stressful time because of the unknown. These feelings of worry include not knowing what the future will be for your child or if the condition is life-threatening. I quickly changed geneticists after the bad experience that I had with Campbell’s first doctor. I was fortunate to find a geneticist who had a genetic counselor. Our geneticist is a wonderful doctor and extremely knowledgeable, but the key to making our relationship work is his genetic counselor. I recommend that every parent who has to deal with genetics use a genetic counselor. The counselors take time to consider any ethical or religious values and family goals. He or she also assists parents with a course of action to deal with genetic findings, such as comprehensive care of the child, risks of having other children with the same disorder, and any type of counseling for the child or parent to come to terms with the genetic condition itself. Campbell continues to be monitored by genetics and will periodically be included in a research project that includes the newest methods of testing genetic disorders. In addition, my husband and I have also been able to come to peace with the fact that she is unique and that neither of us caused her to be the way she is. As parents, we pass many traits to our children. Our son looks more like my husband physically but has many of my personality traits. Both of our children are a beautiful combination of my husband and me—the good and the bad. As parents, we often want our children to be healthy, successful and happy. We have a sometimes unrealistic view of what normal or perfect should be. Having a child with birth defects or physical anomalies from a genetic disorder can quickly change your perspective. I know it has for me.